The notice can be faxed to the Registry Office (Fax Int+ 6723 22403) BUT you must bring the original copy to Norfolk with you. Costing is $AUD200 for lodgement of notice for a civil service For Church services generally a donation is made. 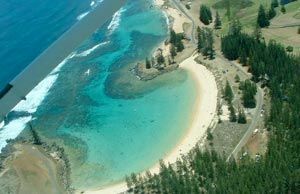 Norfolk Island is a remote paradise unlike any other in the South Pacific. A short 90 minute flight ex Auckland make it our closest Pacific neighbour. 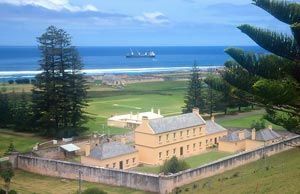 It has towering pine trees in place of waving palms. 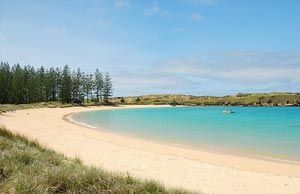 Norfolk Island’s mild, sub-tropical climate, with average temperatures of 20 degrees Celsius, makes it an ideal year-round destination. A few luxury cottages and hotels together with some stylish new restaurants and cafes has boosted Norfolk’s appeal. 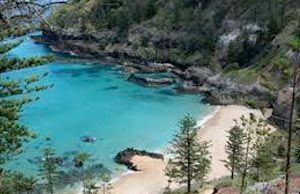 A range of low-cost holiday packages has also made Norfolk one of the most affordable honeymoon options available. Wedding packages can be tailor-made to suit your particular needs.